Executive Summary: You are a member of a colony that is trying to survive, not only the bitter cold, but also the impending wave of undead. The colony is pretty well protected, but it isn't impenetrable and there may be a traitor in your midst. 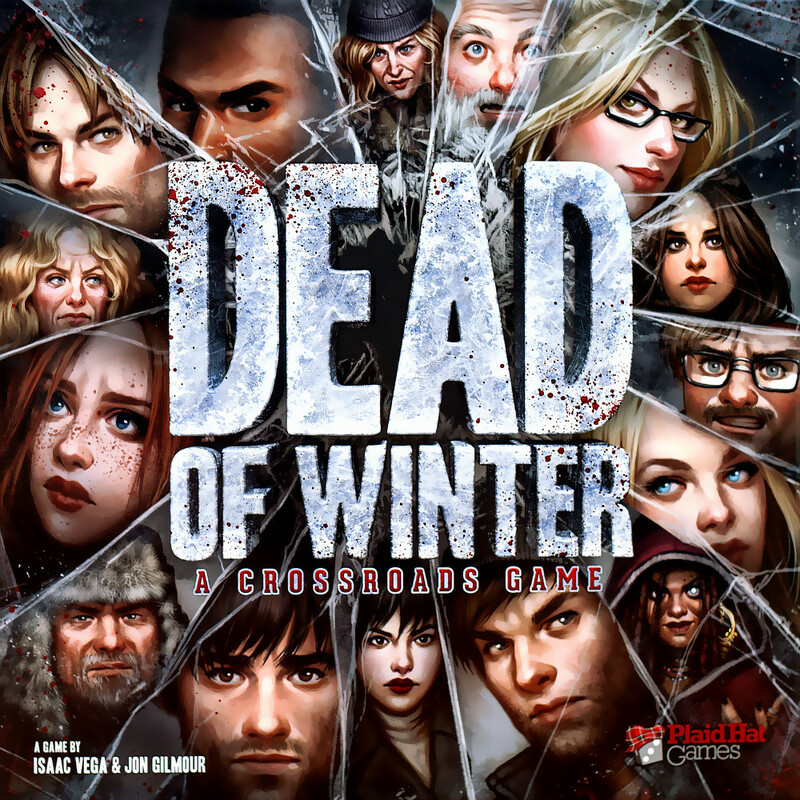 Dead of Winter is a cooperative board game of survival with the possibility of a traitor. There isn't always a traitor, but by assigning individual goals you are motivated to act in selfish ways that sow the seeds of mistrust among players. Dystopian Visions: The colony in Dead of Winter is smack dab in the middle of the zombie apocalypse. You don't know who you can trust, food is scarce, the colony is getting overrun with waste, and there are always new survivors looking to join you. In addition to the zombies, traveling to locations in search of supplies necessary for winning, exposes you to the bitter cold and forces you to roll the dreaded exposure die, resulting in possible frostbite or death. The art is drab and depressing and attempting to survive the winter will likely take some sort of miracle. Even if you are able to identify the traitor, he or she will still roam around the locations surrounding the colony making your survival even more difficult. Utopian Undercurrents: Not much, but there is hope of surviving the bitter cold and trying to find a city that isn't infected once things warm up. Level of Hell: Seventh as there isn't much hope in this post apocalyptic world, but humanity seems to find a way of persisting and there is light at the end of the tunnel. Assuming you aren't bit or freeze to death. Legacy: While Dead of Winter isn't the first game with a hidden traitor mechanic, it is now the standard for which other games aspire. The simple fact that there are some games without a traitor makes this game one of the best social board gaming experiences on the market. 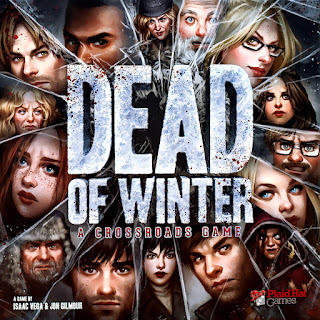 In addition, Dead of Winter introduces players to the crossroad deck, a series of cards that can change the game based on the behavior of the active player. Sometimes the crossroad cards are triggered by who the active player is in control of, but can even be triggered based on what you say, or actions you take at the table. This increases your immersion in this dystopian horror story. In Retrospect: This remains one of my favorite games of all time. There is an extremely high level of replayability and it provides an experience like no other board game.